This correspondent is now back in Orstraya and despite being back for less than a week – the trip to the Orient is fast becoming a distant memory. Thank goodness for the camera. It’s been good to renew the acquaintance with the Back of the greatest ferry in the world and catch up with the old crew. There is no doubt about it – when the sky is blue in Sydney, it’s the bluest. That first sight of a clear Sydney sky after 3 weeks in the haze of China and Hong Kong would bring a tear to a glass eye. 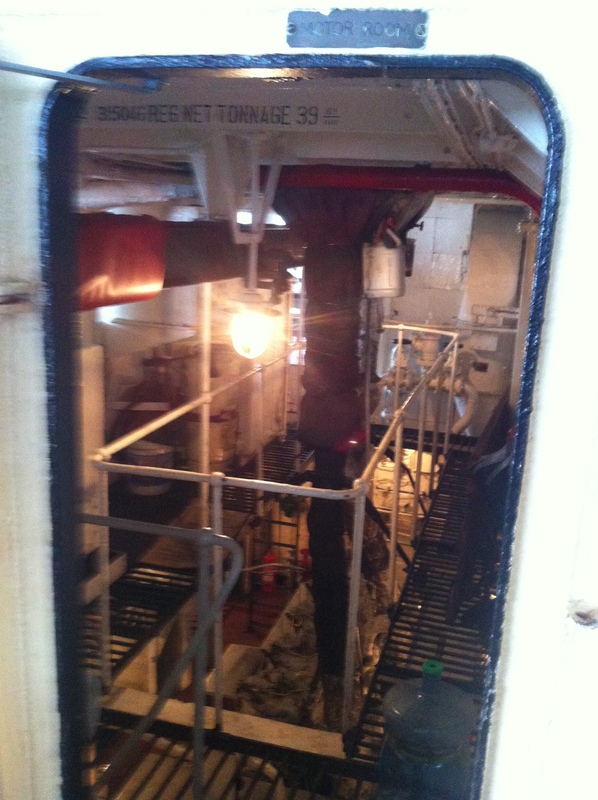 The Manly Ferry is such a contrast to the Star Ferry, least of all the attitude to securing the engine room from the public. 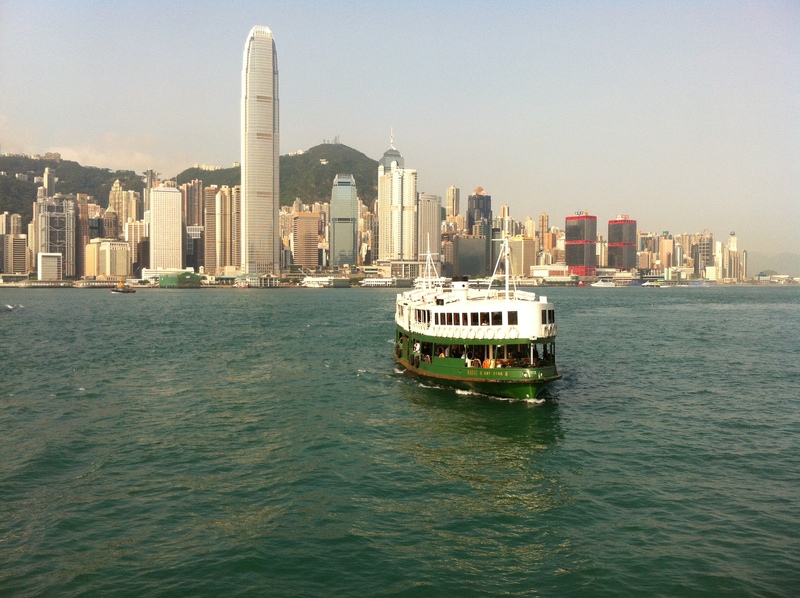 On previous trips to the East, I’ve stopped at Hong Kong – but have never gone beyond the airport. So it was a thrill to actually get into a city that I’ve heard so much about. Work commitments prevented a real immersion, but if I was offered the opportunity to visit again – I’d be there in a flash. That said, Hong Kong is not a place to try different beers. Whilst I’m sure there is the odd place around that serves a range – this is a city in which you drink one thousand beers – you just will drink about 10 varieties if you are lucky. There’s no shortage of places to drink in Honkers. I took the path of least resistance and went to Lan Kwai Fong and Wan Chai, which are the two main drinking areas in Hong Central. I’m sure that there are others – but every cabbie knows these two areas and they draw the expats and tourists like moths to a flame. The emphasis in Wan Chai in particular is on volume of cheap booze with a rugger bugger, rock’n’roll, devil may care attitude. 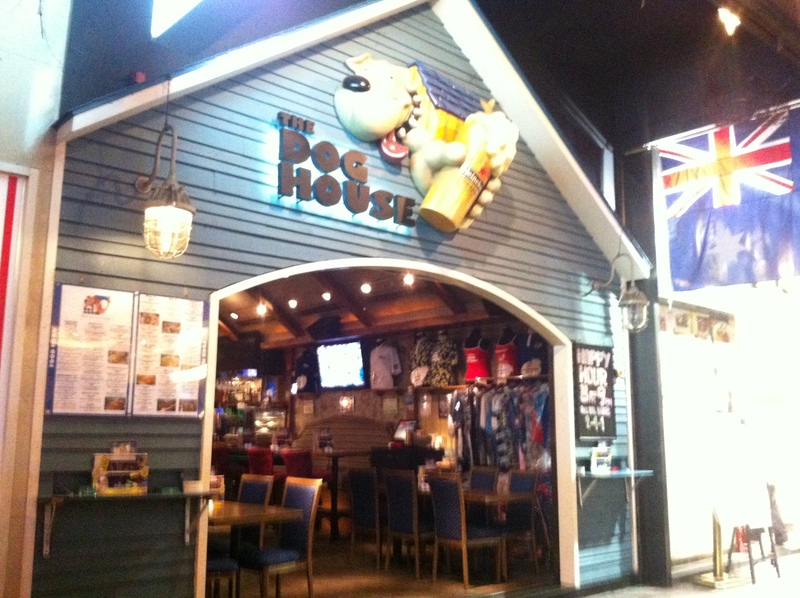 The Dog House, Amazonia, Devil’s Advocate – it’s all about getting pissed, buying the rugby jumper and drinking shots. Plenty of neon, plenty loud guffawing and plenty of AC/DC. I did find one local brew. 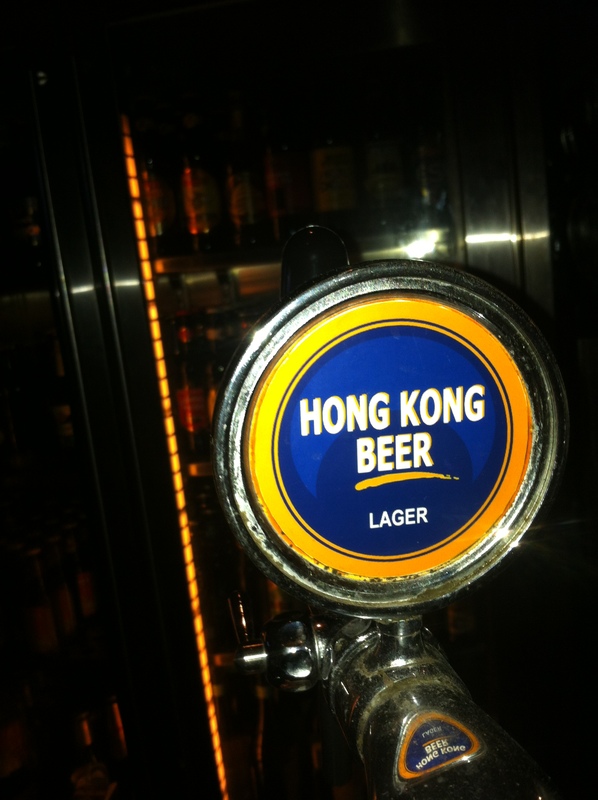 The Hong Kong Brew House in Lan Kwai Fong claims to brew its own beer. They’ve got an extensive range of UK, Belgian and American beers as well as their own drops on tap. It was pretty crowded, and it was surprisingly hard to communicate – so I just pointed at a tap and get two pints of the “Hong Kong Beer Lager”. To be honest, it didn’t taste much different to the San Miguel Pale Pilsen that seems to dominate HK like VB – but it slid down easily. They’ve apparently got a decent range including a Pilsner, Pale Ale and Porter – but these weren’t that evident on the night. Definitely a place to re-visit for the range, but not necessarily one to go out of your way for. 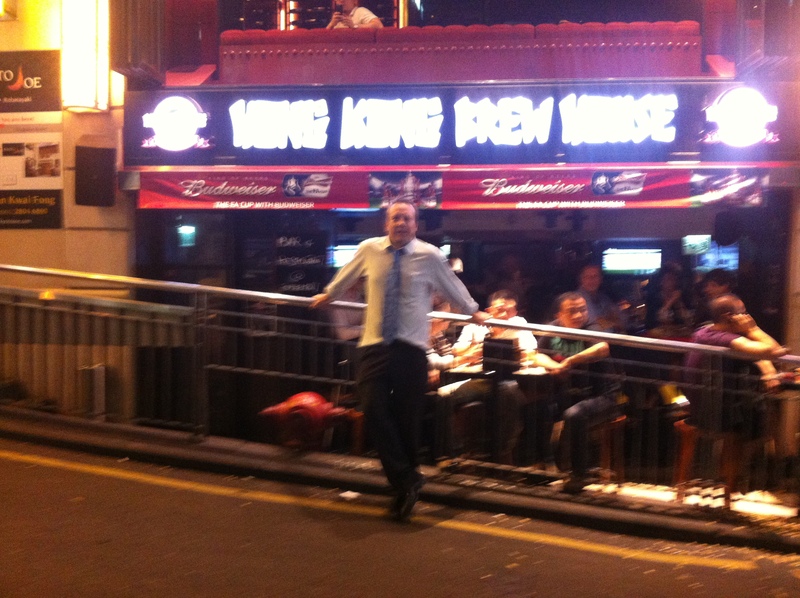 HK is fun – you’ve got to be there with mates – and the climate is just perfect for drinking gallons of the amber. Double Espresso Premio Caffe Birra – from Scotland? !